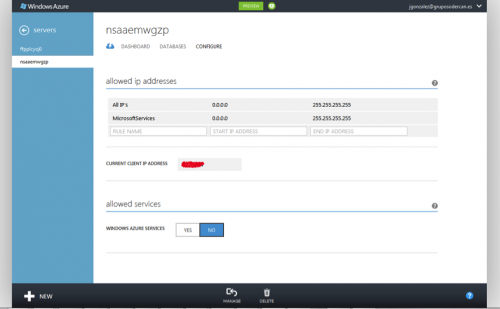 In my last article about integrating SharePoint & Azure with CloudShare, I explained how to integrate Windows Azure Marketplace data in SharePoint 2010 sites through a Business Connectivity Service (BCS) connector. In the first article of the series, I introduced you to some of the scenarios available when you integrate Azure data and/or services in SharePoint 2010 (either On-Premise or Online). In today’s article, I will describe a simple approach to integrate SQL Azure Data in a SharePoint Online (SPO) site without doing any kind of coding. Let’s begin. 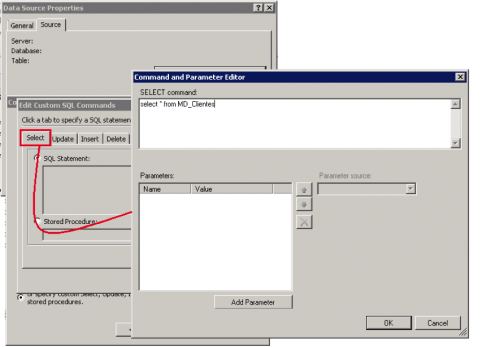 There is only one available approach to integrate SQL Azure Data in a SPO site without having to write a custom WCF service to deploy either in your organization or in Windows Azure: Create a SQL Data source in SPD 2010. Start SPD 2010, open a SPO site and navigate to the “Data Sources” section. Click the “Database Connection” option in the Ribbon. This will start an easy wizard to define the connection to your SQL Azure database (I assume you already have such database). Specify a name for the connection and click the “Configure Database Connection…” button in the “Source” tab. 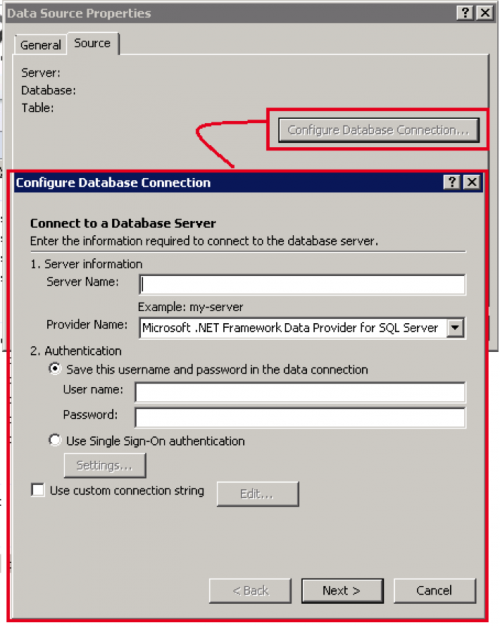 Here you have to specify the configuration settings needed to access the SQL Azure database. Next window allows you to select the SQL Azure database you want to work with. 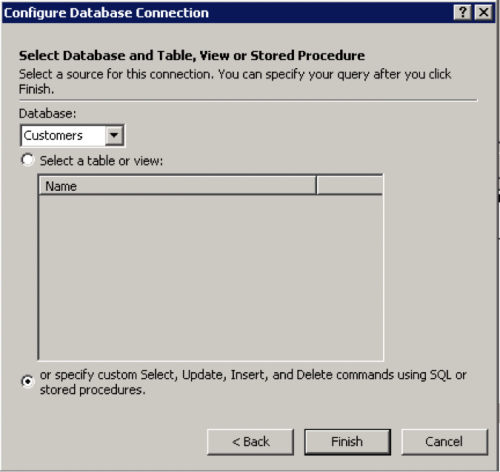 You also have to indicate which option you’ll use to select data from the SQL Database. In the case of SQL Azure databases, it seems that only the “or specify custom Select, Update, Insert, and Delete commands using SQL or stored procedures” option works properly. Click the “Finish” button. For instance, you can configure how to sort and group the items, apply some kind of styling, use custom formulas to define calculated columns in the view, etc. Final step is to check the data view is properly working on your SPO site. How I can re-use the SQL Azure data view? First, navigate to the page where you have inserted the Data View. Display the WebPart management options and click “Export.” Save the “.webpart” file. Since this Data View is a DataForm Web Part, you have the ability to export it as .webpart file which you can package later in a .WSP and re-use as many times as you need. 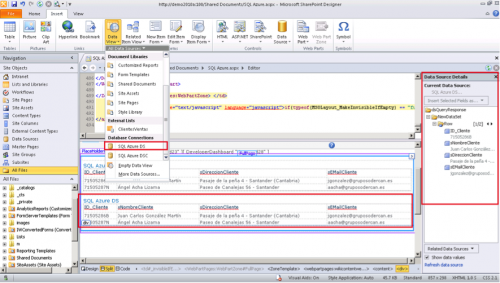 Start VS 2012 RC and create a “SharePoint 2010 project” project type. Once the project is created, add a “Module” element to it. As you can see, we are provisioning the .webpart file to the WebParts Gallery on any SPO site collection (_catalgos/wp). And that’s how to integrate SQL Azure data in a SPO site by using CloudShare. You can expect more articles about SharePoint & Azure integration later on. Stay tuned. Happy CloudSharing!